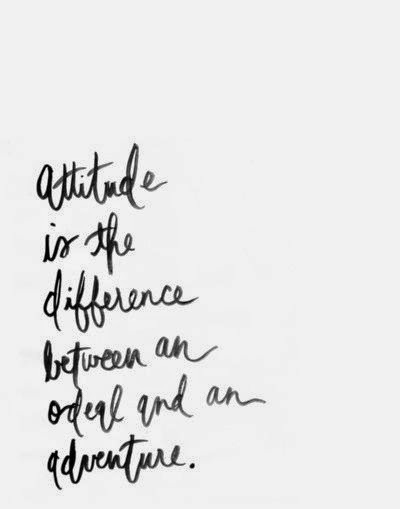 Disciplining for attitude is something I feel the least qualified to write on since we are barely into it ourselves! Duke is just over 2.5 years old and attitude is just now becoming a thing. Always before, discipline was only centered around following directions and obeying. Don't touch that, don't hit him, and eat 3 more bites of broccoli. These are all very concrete things. Duke would either obey or disobey, resulting in a negative consequence. But an attitude behind disobedience hasn't really been an issue until the past few months. I love what all of the other women talked about this week on disciplining our children for their attitudes. I soaked it all in! For my contribution on the topic, I thought I'd take a different angle and look at attitude as a whole. I'm not talking about attitudes our children display when they don't get what they want, but a general attitude about life. My friend, Reese, pinned this the other day and I felt it was perfectly relevant to this discussion on attitude. I love this quote. Probably because I'm pretty good at making ordeals out of things. But what would life be like if I treated every inconvenience or frustrating situation as an adventure rather than an ordeal? It would change everything. Viewing trouble as an opportunity for joy could certainly translate as an adventure. This verse confused me when I was younger, but I've begun to understand it just a bit more in the past couple of years. How we respond to things in life is extremely important, and our response indicates our attitude. The word that jumps out is "settled." Attitudes are hard to change once we get buried deep in them. So it seems to me that raising my children in a way that encourages them to have healthy and positive attitudes is crucial. If we aren't careful, we can develop opinions and attitudes towards certain things or people that may not be right at all. And our children are watching. The truth is, we don't typically grow an attitude of positivity when everything in our lives is going well. Our attitudes are tested when the bad stuff hits. My attitude towards people with mental illnesses didn't change until I experienced what true anxiety felt like myself. My attitude towards people who work in customer service jobs didn't change until I worked at Old Navy and got griped at a lot from people about things I had zero control over. So what is it that I want to teach my children about this? What themes do I want to be present in my home? What do I want them to know about approaching the hard moments and coming out on the other side with faith and character? I don't know what it's like to parent an older child so I am coming at this from my own life experience. 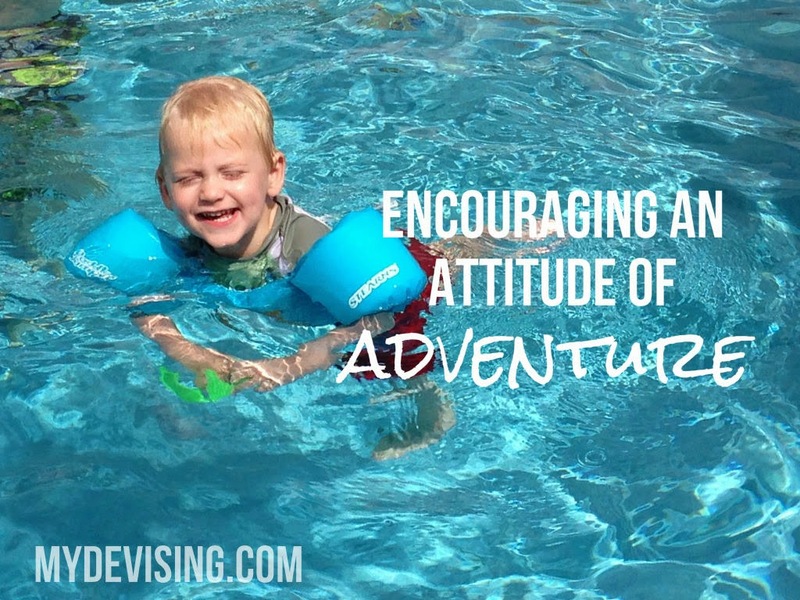 I'm looking at developing an attitude in my children based on what I've learned personally. So, please, parents who have been there done that, chime in! 1. When the hardship comes, dive into it. I need to feel all of the emotions that are to be felt. I need to take everything in. Mourn, get mad, whatever. I need to understand what happened and explore what this new reality means for my life. Maybe it's a death in the family or a job loss. Maybe it's a friend who treated me poorly. I allow myself to absorb it fully. Ignoring it or attempting to brush it under the rug isn't going to help me get over it or grow from it. 2. Determine how I'm going to push through. If I was hurt by someone, how am I going to approach them? How am I going to heal? Do I need to ask for forgiveness? If I'm feeling totally overwhelmed by depression, do I need to see a counselor? Are there practical things in my life that I can go ahead and change? Some kind of plan needs to be made to sort through whatever the issue is. 3. Learn and reflect. I have to learn from the bad stuff or it is absolutely worthless. When I'm not searching for the good or the redeeming nature of a situation, then bad stuff will always just be bad stuff. This doesn't change how awful something is or feels, but it creates an attitude of hope and it gives me the ability to move on with my life. Again, I haven't had the chance to guide a child through this process, but I have certainly had to many times myself. I believe it will be important to work through attitudes as my kids encounter rough moments in life. I want to walk alongside them in it so that when they're on their own, they know how to cope. I want to create little humans that look at hardships and hurt as a challenge, an adventure, and an opportunity. No, I can't possibly do it perfectly every time and they can't possibly execute it seamlessly every time, but this is going to be my goal.